Josh D. Lee is an Oklahoma based trial attorney. He is nationally recognized for his expertise on forensic science related topics and has lectured over 225 times in 22 different states and two countries. In addition to his law degree, he has earned a Master of Science in Pharmacy from the University of Florida. He is also a Nationally Registered EMT. Mr. Lee has lectured at the American Chemical Society (ACS) as well as the American Academy of Forensic Science (AAFS) national meetings. In 2011, Josh was elected Forensic Science Co-Chairman for the Chemistry and the Law Division of the ACS. He is also an “Assistant Chromatography Instructor” for the ACS. Josh is the only Oklahoma attorney to be recognized as an “ACS Forensic Lawyer-Scientist” as designated by the Chemistry and the Law Division of the ACS. In 2018, Josh was recognized by Oklahoma Magazine as a top “40 Under 40” young leader in Oklahoma. He has received two Presidents Award’s from the Oklahoma Criminal Defense Lawyers Association and a Dean’s Award from the National College for DUI Defense. Mr. Lee is a published author on various science and law topics including gas chromatography, blood testing, breath testing, oral fluid testing, forensic science reform, drug testing, drug analogues, search and seizure, and trial advocacy. He is an instructor of the Standardized Field Sobriety Tests, certified independent operator of the Intoxilyzer 5000 and Intoxilyzer 8000 by the State of Oklahoma, and is trained in the Drug Recognition Expert program. Mr. Lee is a founding member of the firm Ward Lee & Coats, PLC. He serves on the Board of Directors for the non-profit organization Freedom of Information Oklahoma, Inc., and serves as Past President of the DUI Defense Lawyers Association Justice Foundation. He is a volunteer attorney for the Oklahoma Innocence Project and has worked to successfully exonerate two men wrongfully convicted of murder after they spent 22 years in prison. He is a also a volunteer firefighter in his hometown of Vinita, Oklahoma. He is certified as Firefighter Levels I & II, Fire Instructor, Hazardous Materials Operations, Swiftwater Rescue Technician Levels I & II, and High Angle Rope Rescue Technician Levels I & II. 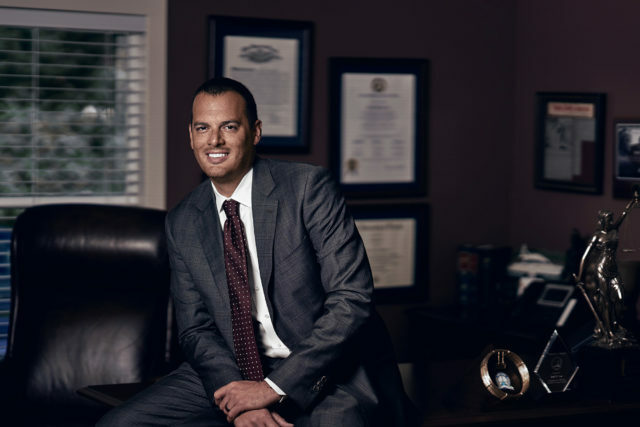 Mr. Lee is licensed to practice in the great states of Oklahoma and Texas and routinely consults with attorneys from across the United States.